Sometimes we yearn for some classic rock. 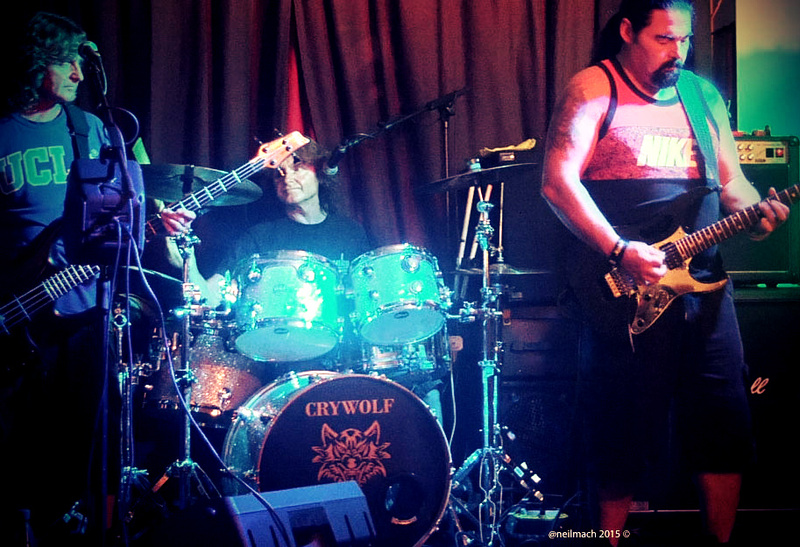 And, there really is no finer band than local lads Cry Wolf to bring us what we need so badly. We saw the band at the superb Staines Riverside Club last Friday. It has been a while since the band played the venue, so audience members were animated right from the start. There was a sense of anticipation in the air. Fans of Cry Wolf will know that all the band members played in pop-band Blackfoot Sue — famous for their wonderful 1972 hit “Standing in the Road.” These excellent musicians also played alongside many other recognizable ‘household names’ of pop during the 1970’s, 1980’s and into the 90’s. From their first number (T.Rex ‘Get It On‘) we knew we were in good hands. Pars Everenos (lead guitar) moved across the frets, as if his fingers were on fire. I’m sure that even Bolan did not put so much effort into the complexity of his sparkling guitar-work. Not that this is just a ‘Pars’ show….The brothers Tom Farmer, Dave Farmer and Gary Farmer are magical musicians too! Their harmonization was exquisite. But it was the thud, thump and grind on their songs like Bad Company’s “Feel Like Makin’ Love” that made us sit up and holler for more. Other songs, such as Pink Floyd’s ‘Comfortably Numb’ seemed a little out of place in the midst of the ‘biker friendly’ numbers — all that studded leather sleaziness, chromium sparkle and sump-oil darkness. 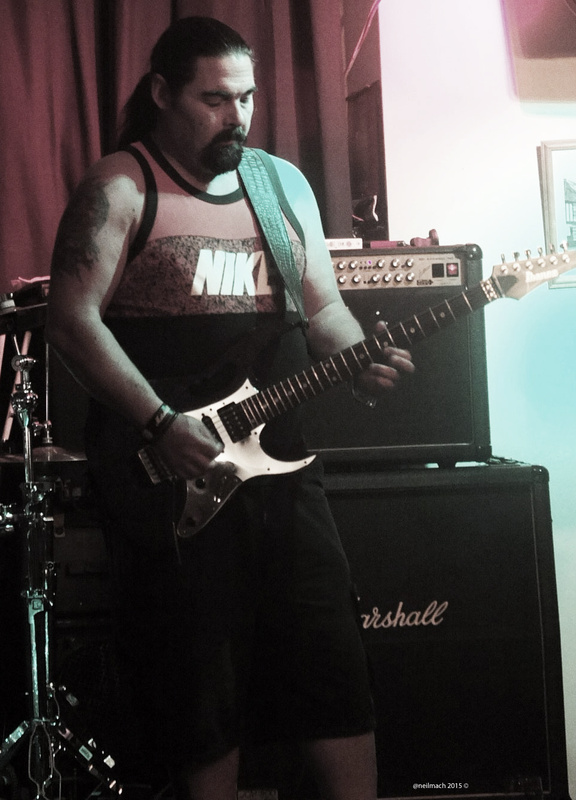 But the prog song went down well… and it allowed Pars to show off some more radiant guitar-work. After some sparkling rock covers (Def Leppard, Billy Idol, ZZ Top, Black Sabbath… to name just a few bands that were faithfully interpreted ) we finally finished with ‘Whole Lotta Rosie’ the AC/DC number. This was a night of tight, energetic and thoroughly exhilarating hard rock brought to us by some amazingly accomplished musicians.